The 3M Scott Safety Protege ZM Single Gas Monitor is an easy-to-use, zero-maintenance gas detection solution that delivers high performance in a small, ergonomically designed package. It is available in oxygen, carbon monoxide and hydrogen sulphide single gas models. 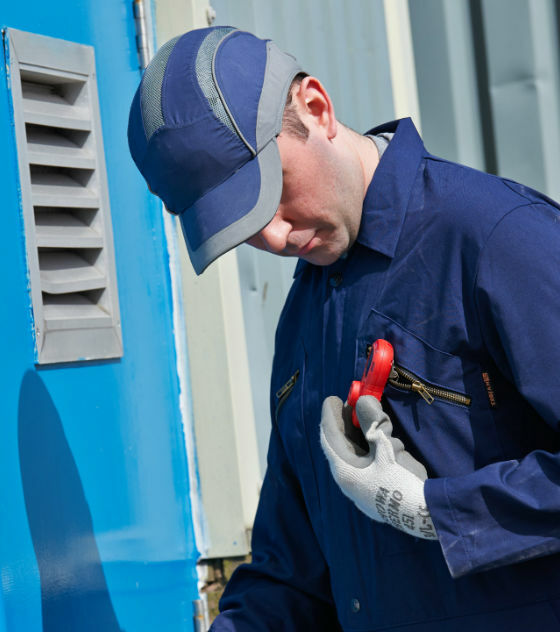 Like all 3M Scott Safety products, this single gas monitor is incredibly reliable, giving industrial workers and first responders the confidence to focus on the task at hand, not on their equipment. With one-button activation, adjustable alarm settings and an easy-to-read display the Protege ZM is simple to use. Just turn it on for the first time, and the monitor does the rest. Using the default settings from the factory there is no need to set up or program the monitor. Once activated, the Protege ZM monitor does not require charging or calibration so these monitors can be deployed in the field 24 hours a day, every day for two years, maintenance and hassle free. The H2S and CO models include a hibernate feature which allows you to extend your battery life up to one additional year. Because of its small size and strong, stainless steel alligator clip, the Protege ZM can be conveniently placed where you want it. The monitor is small, lightweight (76.5g), ergonomically designed and meets IP67 requirements for ingress protection. The unique Protege profile fits your hand nicely, making the monitor comfortable to hold. It's so lightweight and small you will forget you're wearing it while it protects you. The Protege ZM monitor is supported by a portfolio of accessories including a four-bay test station and IR Connect programmer. The test station stores data, programs the monitors and supports bumping, calibrating, hibernating and programming of up to four monitors simultaneously, and is available in both portable and table-top versions. The test station's simple two-button operation and intuitive design means you'll be up and running in no time. The Protege ZM test station is also available in a compact table-top version. A convenient gas inlet on the side panel allows any size calibration bottle to be used. The IR Connect allows programming and hibernating of individual monitors. You can also use the IR Connect to calibrate your monitor and download event logs. 2025938 Protege ZM Single Gas CO Monitor. Equipment includes monitor in high visibility red housing with stainless steel alligator clip attached, calibration cup, CD with manuals and software. Default alarm setpoint: Low Alarm/High Alarm 35ppm/200ppm. 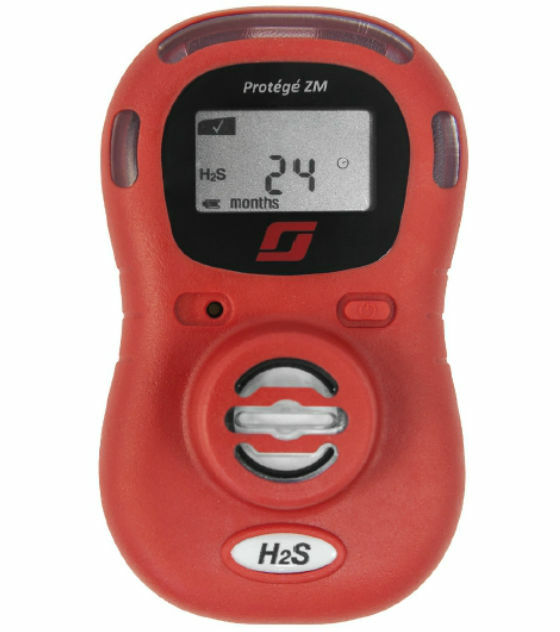 2025937 Protege ZM Single Gas H2S Monitor. Equipment includes monitor in high visibility red housing with stainless steel alligator clip attached, calibration cup, CD with manuals and software. Default alarm setpoint: Low Alarm/High Alarm 10ppm/15ppm. 2025939 Protege ZM Single Gas O2 Monitor. Equipment includes monitor in high visibility red housing with stainless steel alligator clip attached, calibration cup, CD with manuals and software. Default alarm setpoint: Low Alarm/High Alarm 19.5%/23.5%. 2026299 Protege ZM Single Gas CO Monitor. Equipment includes monitor with custom alarms set points in high visibility red housing with stainless steel alligator clip attached, calibration cup, CD with manuals and software. 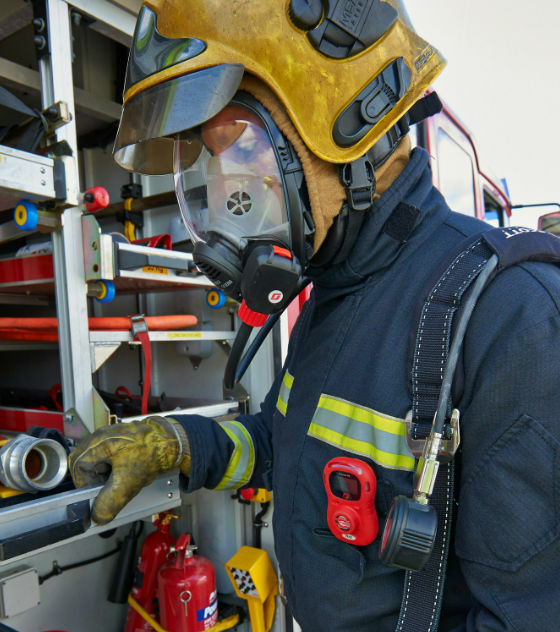 Custom setting: Low alarm 1-300ppm, High alarm 1-300ppm. 2025942 Protege ZM Stationary Test Station. Designed to work simply and efficiently with the Protege ZM. Intuitive two button design with the capability to test four monitors simultaneously which equates to time and cost savings. The test station programmes the Protege ZM as it is tested.The station's on board memory stores the test result logs, downloads the monitor logs and stores programming settings. Data is stored on a 2GB, removable USB stick. 2025941 Protege ZM Portable Test Station. A portable version of the Protege ZM test station to provide a flexible solution. Powered by either the built-in rechargeable battery or by AC power. The USB memory can be read through the IR Connect Programmer or plugged directly into your PC. Contains a built in gas pressure guage. Comes with a rugged, impact resistant case complete with calibration bottle. 2026296 CO Single Gas Cylinder - CO 100 ppm 6D (103 litre) 14" x 3.25"
2026297 O2 Single Gas Cylinder - O2 16% 6D (103 litre) 14" x 3.25"